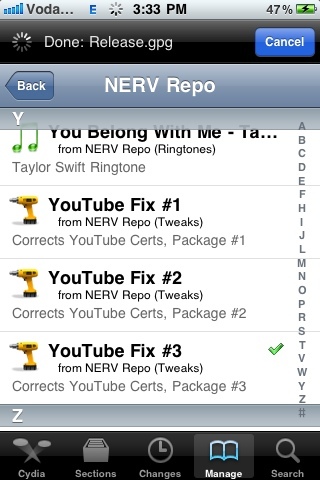 2) edit and add, cmdshft.ipwn.me/apt (this will install nerv repo) now tap on add source. 3) after adding source, go to search and type YouTube fix. 4) you'll find YouTube fix#1, YouTube fix #2 and YouTube fix #3. Install any one if them, don't install more than one at same time. Do This at your own Risk, I am not resposible for any damage, data lost or restore. If you've installed whited00r firmware then you don't need to do this but if you are unable to open YouTube and push notifications don't work on your idevice then see my push notification fix post, that will also enable YouTube as well as push notifications. Any questions? Just leave a comment below and I'll Try to Answer as soon as possible.